The following is the Keynote Presentation I gave at the New Berlin Tech Academy on 8/10/10. To advance through the Prezi file in the order that was intended, click the "next/play" button to advance along the path of the presentation. The following is a list of the links shared during the presentation if you'd like to follow up on any of the websites or information shared. Spell With Flickr - made the "create, communicate & collaborate" logos using this. Type in the word you want and the letters are found on Flickr! You can click on a letter once it's made to find a different choice if you don't like. I took screenshots of the finished product and put them in my presentation. Twitlogo.com - take a word or name and have it created in the bubble-looking Twitter font! 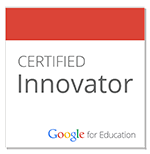 http://google.com/educators -sign up for newsletter, resources for the classroom, information on Google Teacher Academy, Blog of education related posts. 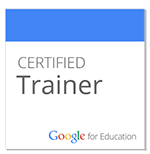 Interested in Google Apps for Education for your district? Learn up on it here. Skype - video on how to get started with Skype and links to "Skype with an Author" and other networks where you can find people to Skype with for classroom needs. Digital Images in the Classroom - this page houses resources related to using digital images in the classroom. 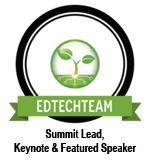 Includes some great links and resources for Kodak, Animoto, and Picasa. Web 2.0 Tools - contains links and videos to some Web 2.0 tools and how they can be used in the classroom. Darren Cannell's (website) GTA Video: You Can't Be My Teacher.